What could be the worst thing to hear about your brand’s personality? Maybe that it is obnoxious, narcissistic, arrogant, rude, unreliable… or even no words, just one loud yawn? However, even if negative remarks are used to describe your brand… you should look at the bright side – at least your brand was noticed. Yes, for all the wrong reasons but even THAT is something, considering how loud and crowded our digital landscape is. We are practically standing on each other’s heads. I hope you’ll forgive me for exaggerating a bit but I wanted to grab your attention because that’s exactly what your brand needs: ATTENTION. Before continuing on, I have to say that I don’t believe in translating human qualities to brands. But, I believe that in order to move people, a brand has to be a force of nature in all its glory. Like a heavy rain after a long drought. A ray of sun after a dark winter. Fire that warms in a cold night, and wind that cools you on a hot day. Your brand needs to find a way to connect with your audience and keep them in a constant state of excitement. A good way to do that is by molding, developing and growing your brand’s personality. When your brand has a personality, it is easier to influence and relate to the interests of your audience so that your brand becomes an important part of their everyday lives. One ingredient every brand needs to complement its personality is a «voice». Your brand’s voice has the freedom to adapt to different situations, including different social networks. Being available in different social networks doesn’t necessarily mean having different audiences, but it can mean that the audience’s expectations can vary. Along with it, they seek a different experience. Use your brand’s unique voice in the content it creates and shares, the way in which it interacts and communicates and the words or expressions it uses. Just like social interactions, think about what you want others to think about you and also think about the people that you want to attract. If you’re looking for inspiration, look at how Netflix talks to its audience on this tweet. A crucial part of handling your brand’s personality is keeping it on its course. Even through changes and improvements, the priority behind your brand’s personality and voice is a feeling – precious, intangible and fragile; something your customers sense when they see your logo or read your content. The bottom line is, the personality of your brand should be consistent, reliable and consumers should engage because they want to, but because they feel identified with it –Because it makes them happy! Make them happy and they will give you the world! 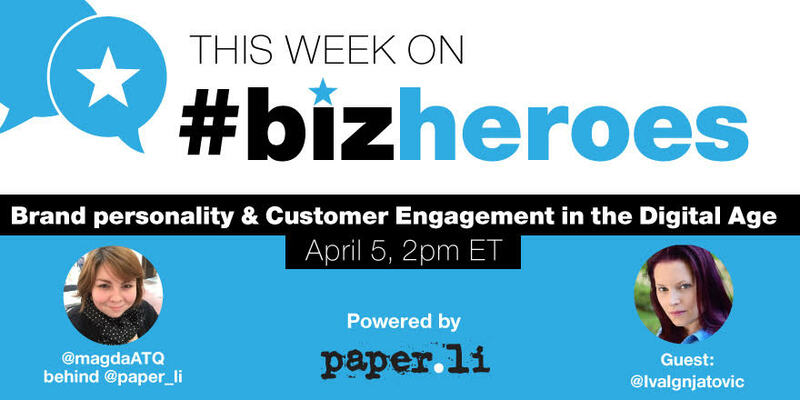 Editor’s note: This post was an introduction to our #BizHeroes chat that took place on 5 April 2016 where Iva talked to us about Brand personality & Customer engagement. Join us for future chats! How would you define a strong brand presence in a digital age? How does a brand’s personality influence its visibility? How is brand personality different from brand voice? What are the steps to define and use your brand voice? How can a brand build a strong relationship with its audience? What makes a brand successful when it comes to customer engagement? 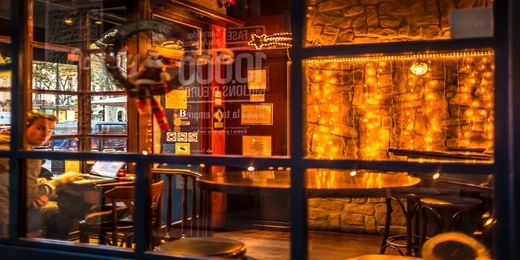 If the digital age makes brands more approachable, why do we still see some businesses fail? What are the biggest challenges a brand faces with its online presence? What can a brand do to grow from social media “likes” to social media leads? In an ever-changing digital environment, what should brands do to keep their audience engaged? Iva Ignjatovic is a small business owner, writer and business strategist helping small businesses transform and adapt to the digital world. Follow her on Twitter @IvaIgnjatovic.